Thank you for taking the time to learn more about the important work of the Council on Older Adults. 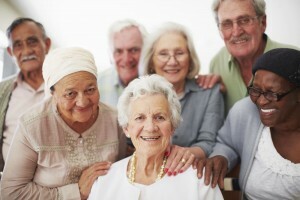 We have strong roots in Cumberland County as we have been providing services to local seniors for almost 50 years. How? We are supported by federal, state and local grants, United Way and public donations. As you may know, times are changing. Our aging population is growing rapidly and we face a challenge: the need for services is significantly greater than our financial resources can keep up with which often times results to waiting lists for our programs. Would you consider donating to our organization to ensure we continue to fulfill our mission and allow us to serve every senior who inquires about our services as quickly as possible? We thank you for considering providing financial support to our agency and assure you we are a worthy steward of all donations we receive. The Council is governed by a concerned and competent board of directors, and our programs are operated by a staff of qualified and caring professionals. Our work is supplemented by a corps of volunteers who believe in our work and who unselfishly give of their time and energy. Thank you for considering becoming a financial contributor and remember any amount no matter how small will go a long way in helping us continue our work. If you would like to contact me personally, please feel free to call 910-484-0111 extension 229.